When I first read that quote is resonated with me because after so many years working full-time in the professional world, it can be quite a culture shock to become a stay-at-home mom, even if you fully believe in the “work” you are doing. Being a mom raising kids and creating a beautiful, inviting home. I still have contract legal jobs that I work on from home and have not ruled out returning full-time to the career I worked so hard for, but for now, HOME is where I find myself and where I get the most JOY out of life. We built this home from the ground up and, although I’ve learned so much along the way, this is a dreamy space that I feel so fortunate to call home. From the airy kitchen to the comfy living room and the sanctuary bedroom, I’m really happy here. I mentioned long ago that with our large house, I don’t mind admitting I wanted/needed help keeping up with the cleaning and my friend Maria joined me in cleaning on Fridays. She is a Godsend and truly part of our family. We’ve been through life’s ups and downs together and her kids and my own are like brother and sisters. It can be overwhelming to keep a home of any size clean and okay to need help. But, since I’m home more now, I’ve been taking on the cleaning responsibility and just have her come help once in a while. She’s been gone this summer, but will return and help me on the big jobs like cleaning the baseboards, cabinets, and windows. And we get to catch up, chatting away all the while. 😉 I’m the type that operates better in a clean house, it just makes me relax and feel better. Of course, it’s not always clean and organized, but I do prefer it that way. To clean our floors, I’ve had the Dyson Animal vacuum for about 7 years, and I still like it, but recently I heard about the Dyson DC59 Motorhead and I’m thinking of making the switch. It’s cordless! and a much slimmer design that our current model. It’s about a third of the weight too (4.9 pounds as opposed to 17.35 pounds). It cleans both hardwoods (our downstairs) and carpets (upstairs in the bedrooms), so that’s a great feature too. I try to cut corners by not sweeping the downstairs with a broom when possible, just using the vacuum instead, so ours gets a LOT of use. I still have to carry our vacuum up the stairs and plug/unplug it, so I think the Dyson DC59 Motorhead would be better in that regard. Have you tried it? Any thoughts to share? One winner will receive a Dyson DC59 Motorhead ($600 value)! 2) Answer this question in the comments: What is your dream space and what Dyson DC59 Motorhead feature do you enjoy the most? Oh man, I could really use this for the car too! The WINNER of the Dyson DC59 Motorhead will be announced on Monday, August 18, 2014. Good luck friends! CONGRATULATIONS Carla Jordan, the winner of the Dyson DC59 Motorhead! *Thank you Dyson for sponsoring this post. I would love this – the cordless feature would be so handy to use. I would love a fully decorated master suite – slowly by surely I will get there. It does take time to find the perfect pieces. I would LOVE to win one! We sweep frequently due to pet hair, and this light weight model would be awesome! Thanks for the opportunity! What an awesome giveaway! I love that the Dyson DC59 doesn't have a cord. Living in a split level, cord are such a pain! My dream space is a clean and clutter free kitchen 🙂 A cordless vacuum that actually works would be AMAZING! Especially with our two golden retrievers…hair EVERYWHERE!! My dream space is my family room! We are expecting our first child in December and I envision spending lots of time there. I love the Dyson we already have and would love to add the Dyson Motorhead to our household for those hard to reach places and for me personally to use so I wouldn't have to get the big one out all the time! I really hope I win this, it would be perfect to addition to my growing family! Wow! Can't believe I am first to comment. Maybe that's a sign of good luck..ha! My dream space is much like your Megan. It's one that is most defiantly clutter free & clean. It does not have to be super fancy but functional. I do adore putting together a room. We are still working on that throughout my house. I tend to save for quality pieces for long term use. The dyson would be great because it is cordless & with a shedding pug on dark hardwood floor, it can become a challenge to keep it up. The new model look fantastic & offers many options (It would help greatly with keeping the car clean). my dream space is where we eat our meals, the dining area. it's where I enjoy my loved ones around the table and my favorite hobby (cooking). my favorite dyson feature (just one?!) is the bag-less easy to clean feature. That's a great feature I didn't mention! My dream space is an organized craft room/office and my favorite feature is no cords. I could quickly vacuum my hardwoods downstairs which cover most of the downstairs. Lately, I've really been drawn to more modern, clean spaces. That all white, Scandinavian look is calling my name… though I do love the house we're in now, with it's cool colors and toddler toys littering the floor 🙂 I love the versatility and flexibility of the Motorhead! I think the cordless feature is my favorite, because moving from room to room would be a breeze and cut down on cleaning time. I sooo want this….I like the rechargeable dock station and that it can be hand held. This may be an odd answer for what my dream space would be, but I fantasize about what I want our home gym to be (in the process of starting this). I want it to be a place where I look forward to spending time, but also a kid-free zone that I can break a sweat in. My favorite feature on this vacuum is the cordless feature, but also love that you can switch out the attachment for the stairs. I hate using the awkward long attachment on my vacuum for my stairs! My dream space is the eat-in kitchen. I love meeting peoples needs while getting to socialize with them. It's the perfect place to blend decor and function, work and personal time. The feature of the Dyson DC59 Motörhead I enjoy most is the hygienic bin emptying feature, I am always having to empty my current vacuum outside as the dust and pet hair cover me each time I have to open the canister. This is much more practical. 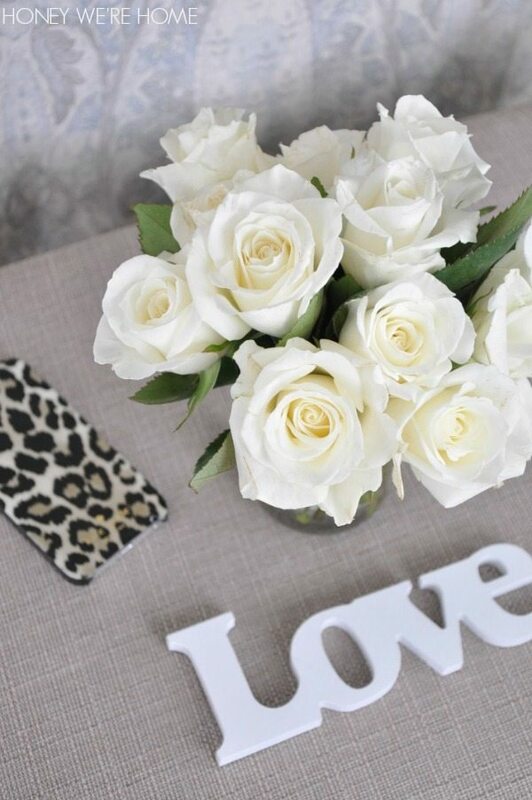 My dream space would be white, bright and airy with pops of bright, electric colors. I like that the Dyson is so versatile and can accommodate many different spaces and surfaces. My dream space would be a craft room where I could work on projects. I love the fact that the Motörhead is cordless. So awesome! I love Dyson's! I love this models feature of NO cord/such a hassle to plug and unplug…that would be so great to be cordless! My dream space is Genieve Gorders renovated tow home in NYC that was just featured on HGTV…eclectic and cozy! My dream space is my new home and I would love a new Dyson motorhead lightweight vacuum. The heaviness of most vacuums makes it a pain to carry up and down the stairs. I also love that it can come apart and vacuum the stairs with ease. My dream space would be to have a big open office with lots of shelving and storage, the best thing about the Dyson DC59 Motorhead is that it detaches and it is cordless. 😀 Hope I win!! My dream space is my comfy reading chair in our living room. I LOVE the fact that this strong of a vacuum is CORDLESS! My dream space is an airy, white kitchen with dark wood floors that open onto a deck with french doors and a gorgeous sunset view. My favorite feature of the Motorhead would be the ability to charge and store it on the pantry wall so it's ready for quick, cordless use anytime! 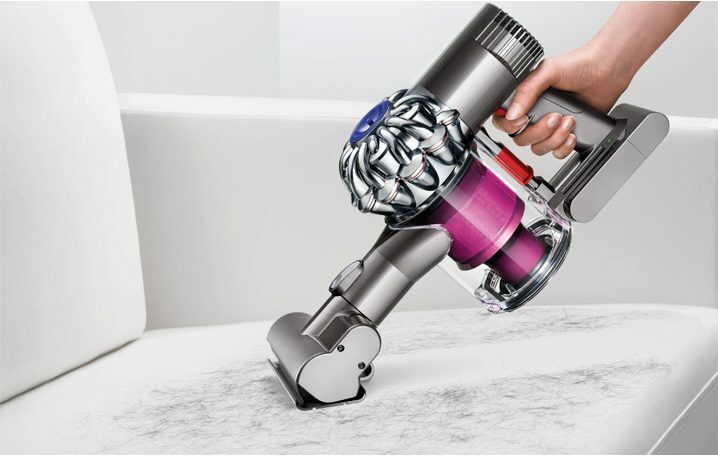 The Dyson DC59 Motorhead would keep the kitchen gorgeous and entertaining-ready! I've been looking at these too and would love to win one! I would enjoy its ability to clean both hardwood and carpet-the one we have now really doesn't do that good of job on hardwood. It would also be wonderful to have such a lightweight vacuum, especially one stairs! What a great giveaway! I love that it's cordless and lightweight. Good gracious, YES, I would like to win this! I am so sick of lugging my vacuum all over the house – the lightweight feature (especially on the stairs, is definitely my favorite part! My ideal space would be bright, clean, and have a big comfy chair and a good book! My favorite feature is the size! I love that it can fit under the couch so I don't have to move it. My dream space is like you- clean and organized. I love that it's cordless and can do hardwood and carpet. I currently use two different vacuums and having one would be great! I would love a new Dyson! I think the cordless feature is fantastic! Thanks so much for putting this together. I really like all the features, however my dream space is my little girls room and the features I enjoy most are that it is cordless with a long reach. She struggles with tons of allergies, so we too have a Dyson animal that travels all over the house. This would help reach under her bed, in corners and her windows/fan blades. Thanks again! Oh I just love this Dyson! I love the portability feature! I would use it to vacuum up that quick spill in the den or under kitchen table! My dream space is a room with plenty of shelves for our books. My favorite feature of the Dyson is that it is so powerful while still being cordless. My dream space would be a large master bedroom with lots of windows, a reading nook, and his and hers walk-in closets – so my poor hubby doesn't have to use the guest bedroom closet anymore! 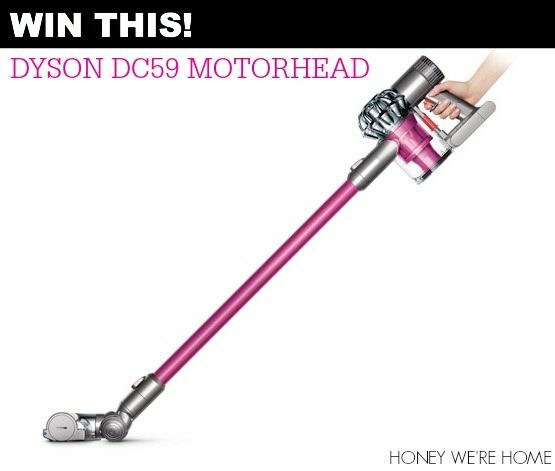 I would absolutely love to win the Dyson DC59 Motorhead because as a busy mom, it would make my life so much easier. My favorite feature is that it is cordless! Not only would I be able to take the vacuum from the house to the car with ease, my daughter wouldn't be able to use the cord as a lasso or a jump rope as I'm trying to clean the house! My dream space is anywhere that my family is safe, happy, and healthy. The best feature of the Dyson DC59 is the hardwood/carpet functionality. Our new home is all hardwood, but we have a runner on the stairs and will be purchasing carpets for many of the rooms as well. I love that it's lightweight! We are looking for a new house and hopefully that will be my dream space. I hope to find hardwood and carpet in out new house and the ability to go over both easily is a dream in itself. I love an open layout for entertaining in a house. What I like best in this dyson is that it is lightweight and can clean hardwoods and carpets! I like the fact that it goes from floor to carpet. Would love to win! I love everything! The sleek skinny design would work great for under all my furniture and I love that it is cordless. Our new house requires me to unplug and replug 3 times for the living room. My dream space would be a sunroom where I could sit in a nice comfy seat and read. I love that the Dyson Motorhead has a docking station. My dream space is a huge kitchen/dining area/living room area with lots of seating and room for entertaining…it would be mostly white and gray with splashes of color I could switch out with the seasons. I love the face that the Dyson DC59 can be used in the car!!!! 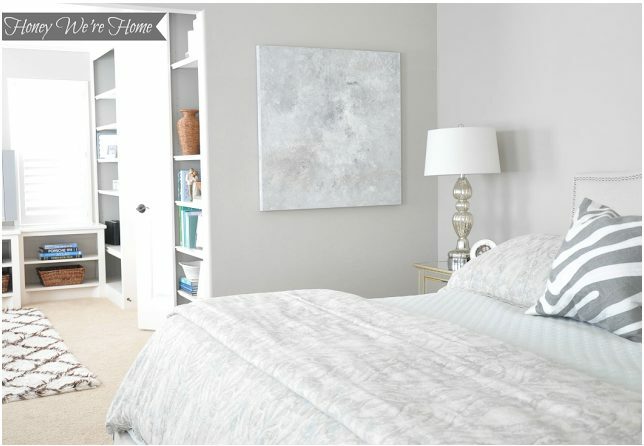 My dream space would be a relaxing master bedroom, with soft colors, linens and lighting. The best feature of the Dyson is the fact that it picks up so much dirt and dust. I've suffered from allergies my entire life and now I have a one year old who crawls around and picks up everything that my vacuum misses. A new vacuum would be great to get ahead of her! A large open concept living room with mid century furniture. I love that it is cordless. My dream space is a large screened porch with a bed swing. I would use the stair cleaning feature on the vacuum cleaner regularly. 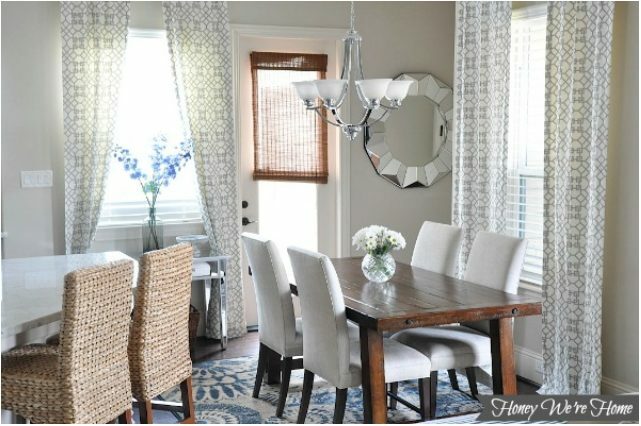 My dream space would be our dining room which is about to make the jump to become our homeschool room (in two weeks! eek!) It has a huge picture window and I'm super excited about some of my projects going on it there. That being said, the Dyson DC59 Motorhead would be a super tool for me, especially with the lack of cord and the long tube-y thing. Our house is a ranch, but it is SO long from end to end that I have to keep plugging and unplugging our vacuum to get all the spaces! Thanks Dyson and Megan… such neat giveaway! Oh wow! Best wishes to you on the Homeschool room! That's pretty exciting! My dream space is a bright and airy kitchen. This vacuum would be amazing to keep up with cleaning! Love that it is cordless! My dream space would be a craft room. I would do beading and scrapbooking. Thank you for the giveaway. I really enjoy the features of the Dyson Motorhead DC59. The feature I like the best would be the fact that it is cordless. I could use it everywhere and anywhere. I enjoy reading your blog, you are very inspiring. Thanks for the giveaway. I love my living room because it's cozy but also full of light. I like that the Dyson DC59 motorhead can go on both carpets and floors because I hate having to use different vacuums for different surfaces. And it's great that it's light but still has awesome suction. My dream space is my kitchen. I love cooking and having my little girls nearby playing. I like that the Dyson is cordless and so easy to empty. I love the fact that it's cordless! This would help me so much. Hope I win! The fact that this vac has 3x the suction is my favorite feature. I would love to use it in my dream space which is our TV room–I just love that room…. WOW! I was just talking with my husband about getting a new vacuum cleaner for our area rug in the family room. It's a great rug, but our current vacuum really does not to the job well in picking up as much dirt as possible. I'm in the process of redecorating that room to make it look dreamy! I would love to win this and I love that it's cordless! Great perk! It looks like my comment was lost so I'll try again. I can totally relate to the transition from full time corporate Mom to stay at home Mom. It's really hard. I gave up my career many years ago to care for my son and I still miss it. As for the Dyson DC59 Motorhead, my favorite feature is probably the light weight. My current vacuum cleaner is very light and it's so easy however it's not very powerful. I've been looking at the Dyson too. I love a really clean house and I think it's important to invest in quality tools. I have mostly hardwood, some travertine in the bath and laundry room and carpet in the master bedroom only so it would be great to have a vacuum that could manage both hardwoods and carpet. I have some wool rugs as well so there is always something to vacuum, lol. As for my dream space, it's probably my bathroom. It has beautiful travertine tile on the floor, tub and vanity. Although I didn't select the tile, it's exactly what I would have selected. I purchased this townhome last year that had been totally redone and it's really beautiful. I also love the fact that the Dyson gets microscopic dust as well; my son has lung issues with his disabilities and that would be important since he's on oxygen. I remember that about your son- the lung issues. I see so much dust in our house, it's so hard to keep it clean! Good for you that you got the travertine you would've chosen in the bathroom. My dream space is light and bright… and there's always a bookshelf nearby, filled with books.. and a comfy chair with a soft, pretty throw. And it's clean and organized! I love that this vacuum is cordless and can be used on hardwood and carpet. I want one PLEASE! What a great giveaway! My dream space is light, bright and airy – preferably overlooking the ocean:). I love this vacuum and my favorite feature is that it's cordless which makes it super easy to clean out my car! My dream space is a beautiful outdoor entertaining patio where we can have friends and neighbors over and watch the kids play in the yard. And I have had my eye on that vacuum…I keep hoping my current vacuum will die so I can justify a new one!!! I love that it is cordless and can go under beds. My dream space is a cottage on the lake that vacuums itself. 😀 My favorite feature of the Dyson DC59 is that it's p̶i̶n̶k̶ cordless…yeah who are we kidding. Pink. My dream space is a large, beautiful kitchen with lots of cooking space and storage. This Dyson would be amazing for keeping this (or any) space looking great. We have pets who love to be wherever we are. This vacuum is so lightweight, I would mind picking it up and vacuuming the pet hair away more often. It would make things so much easier! I LOVE that it is so light-weight and that it moves from carpet to hardwood. We have the original Animal model of the Dyson and I still love it, but now that we have two stories, lugging that thing up and down is not my favorite chore. I'm still working on creating my "dream" space in my living room–but it includes wood floors and a plush wool rug, so this vacuum would be perfect! My dream space is everyone around the dining table eating and sharing stories. I would love to have the cordless vacuum as I have to carry our heavy one upstairs every time I clean. My dream space is a quiet clean room where I can relax! I also have the dyson animal and would love this cordless one! I think that's the best feature no cord and it's lightweight! My favorite feature of the Dyson DC59 is that it's cordless and can easily go from hard wood to carpet. Probably works great on upholstery, too! My dream space is light, airy, and peaceful. It is filled with crisp whites, blues, and light grays. I love how compact the Dyson DC59 is because my husband and I are just about to get our first house, and it will not take up much of our limited storage space! I've been dreaming of this vacuum. My dream space is a beautiful airy screened in porch–one in which I can curl up with a good book or host a small dinner party. My favorite feature–cordless, light and can handle both carpet and wood floors…It's so hard to choose a favorite. I think it has to be the cordless feature while still having the power of my Dyson Animal. My dream space is the finished basement we are in the process of doing. I can't wait to have a space to put all the kids toys in. I love how light weight the new dyson is. We have the yellow one and it is a pain to carry up and down the stairs. Having fallen off a very young horse four year ago, I've suffered from severe back pain from four agitated spinal discs; a very light and cordless vacuum would make cleaning so much easier for me! This is definitely my favorite feature about the DC59 Motorhead. My dream space would be a little house nestled in the foothills of mountains where I can keep my horses in a simple paddock just outside my front door, while also being able to see the ocean as well. I love coastlines and mountains! A clean house would be my dream house. This would be easier with a Dyson- cordless,light in weight,goes anywhere. My dream space is a large deck attached to the house that I can use to relax, entertain guests and let my son play. I would love the dyson – I love the cordless feature that allows me to take it throughout the house (upstairs and downstairs) without worrying about dragging a cord around. My dream space is a clean, minimal bedroom. I love this because it is a dyson! I've had my dyson hand-me-down for over 6 years, but the plastic parts are starting to break and it's difficult to carry it up and down the stairs anymore. A new vacuum would be so welcome in our home! My dream space is a large mudroom and laundry room combined to include storage galore, a large folding station and a utility sink. I love the cordless feature of the Dyson. It would make cleaning up messes quickly that much easier. We have owned a Dyson Animal for 6+ years and being able to go from hard floor surfaces to carpet is one of the features I love. My dream space would be a gourmet kitchen/entertaining area! I love the cordless feature which makes it easy to use in the house as well as to vacuum the car!! My dream space is a dedicated office… I work part time from home to be with my kids and find myself in bed with my laptop far to often! I love the Dyson's cordless feature… That would be a dream with toddler messes! Oh yes. My son often eats at our kitchen counter and the messes under his chair are crazy! Love the 3x the suction power of this vacuum. I want a mid-century modern space decorated with Broyhill Brasilia furniture. MY DREAM SPACE: My kitchen for sure! It's usually where I can be found when my husband walks in the door from works and gives me a hello kiss, "how was your day sweetness?" My dream space is a relaxing and serene master bedroom. I love that the dyson cleans carpet and hardwood. My dream room would be a combined laundry and mudroom area. We just don't have enough space right now. I have owned the Dyson Animal upright for 6 years now and love it; however, I feel the ease of the motorhead would better suit our needs. My dream space would be a calm, clean and bright master bedroom. That's the room that I'm going to try and focus on next. It has beige shag carpet which I hate but it's not in the budget to change that any time soon. It's upstairs and my vacuum weighs a TON. Would love love love to have a light cordless Dyson. My dream space is a spacious, open kitchen. I love that the Dyson DC59 is cordless (how awesome is that!) and that it is just as useful on hard surfaces as it is on carpets. I love that the Dyson DC59 is cordless (how awesome is that!) and that it can be used on hard surfaces and carpets. I have always wanted a Dyson! I love the cordless feature on this one! My dream space would be a screened in porch to have more time outdoors without the bugs. The feature I like the most is the fact that it is light weight AND cordless. I clean our house all by myself so there is a lot of carrying-the-vacuum-up-and-down going on between 3 floors. And with 2 kids aged 4 and 6 I need the vacuum handy many times a day. Hi Megan! I love your home. I've been looking for the perfect workspace for my office. Where did you get your white desk in your office? Is it possible to have a dream vacuum? If so, this is it! Cordless and lightweight? It doesn't get much better! My family and I have been working on our dream country home for the past ten years. Our favorite space would have to be the kitchen. It has plenty of cabinet and counter space, a peninsula that seats five, an island and bamboo floors. All of our holiday gatherings are held here and so many memories have been made! I love that the DC59 Motorhead vacuum can go from hardwood to carpet easily. Perfect for the kitchen floor and rugs. My favorite feature would have to be that it is a powerful yet lightweight vacuum. With my recent health issues this is something that I can appreciate. My dream space is clean, tailored and elegant. I love my dyson animal and would love this cordless vacuum ! Thanks for the giveaway. My dream space is an open concept living room/kitchen. I love that the dyson is cordless and light, it would really help with my 3 floors of black lab fur! That is amazing! I'd love one of these! So much better than my giant beast that I have to lug around! My dream space is a large, open, organized kitchen. I love how the Dyson DC59 is lightweight and cordless! Love the cordless feature and my ream space is a breezy huge outdoor stone patio. my favorite feature is the hygienic bin empty and the cordless feature. i have an older model dyson canister vacuum and would love an upgrade! My dream space would be a laundry room with two sets of washers and dryers, a giant sink for hand washables, a place for hang dry clothes, and a giant island for folding. My favorite feature is the ability to reach the hard to reach places, like behind the bed, YET has even more power than a regular vacuum! My dream space would be a large kitchen with a big island (enough room for our five kiddos to sit). I love the cordless aspect of the DC59. How nice would that be!?! My dream space would be a huge walk in closet with an island in the middle! I am dying for a rechargeable dyson! I love that it can be used on carpets and hardwoods! Plus, it's so light weight! My dream space would be an office for me. I love yours! I already have a dyson canister and it's just too tough to lug through baby gates. Favorite feature is that it's cordless! My dream space is a playroom. Bright and airy and filled with toys, toys that would no longer be on our living room floor! And the features I like the most about the dyson are the cordless and the suction. 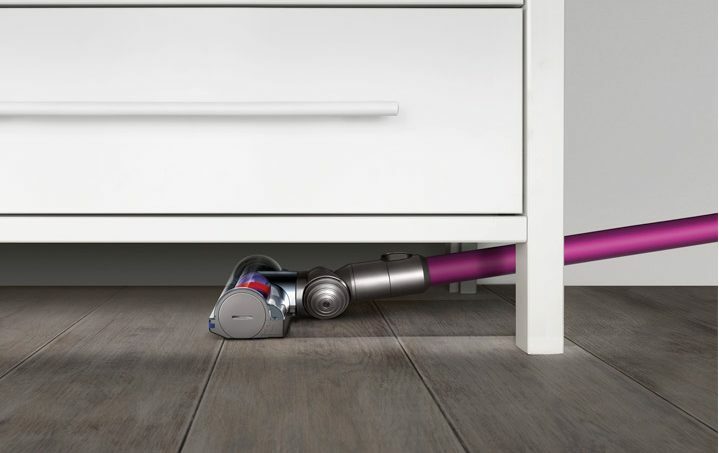 Because honestly, it would be great to turn on the dyson during nap time, zip across the floors and know that when my daughter wakes up and starts crawling, she's on truly clean floors. My dream space would be a big playroom for my girls, clean and organized! I love the DC59 because is easy to lift, cordless and also it can reach difficult places to clean. Dream Space: Got it! Wherever my two babies are! My dream space would be a dedicated office/craft room space. I love that the DC59 is cordless and it's got a beautiful design as well. My friends rave about their dyson products but I don't have one of my own yet. I would love to win this! My dream space would be a small nook for just me to curl up with a good book! Unfortunately we just don't have the room for that right now in our small house. But with a small nook, or a small house, the compact design of this Dyson would be a lifesaver! Sometimes dragging out the big bulky vacuum is more trouble then it is worth! My dream space would be a nursery for a baby someday (we're newlyweds!) and with a Golden Retriever named Harper who loves to share her furry coat with us and our floors, the cordless feature and floor to ceiling feature would be AMAZING! My dream space is a Reading/Sitting Room, with lots of books, and comfy sitting chairs, blankets and pillows! 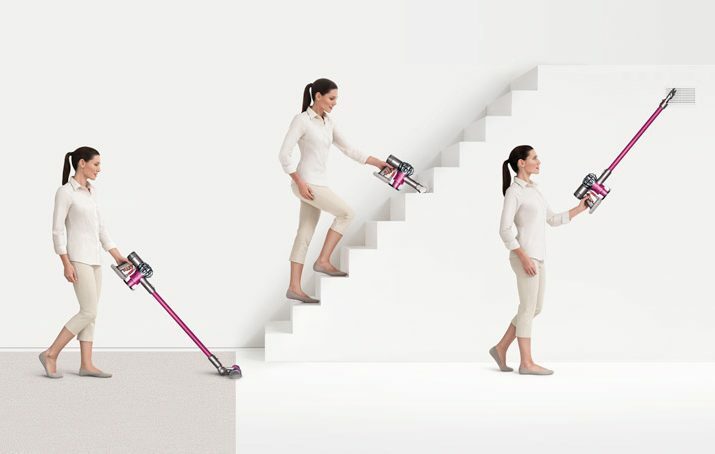 I love the cordless aspect and compactness to clean stairs! My dream space is 4 comfy chairs arranged around a round low coffee table so that when friends come over we have cozy comfortable place to visit! One of the features of the the Dyson that I would enjoy is the light weight! My dream space would be a white room full of built-ins completely packed with books. And beautiful brass pieces. And lots of plants. This thing PICKS UP MICROSCOPIC DUST?! As a complete germaphobe this would rock my world. My dream space is turning our brand new first home into a calm, light and welcoming place! I LOVE the fact it cleans hardwood and carpet and that it is cordless. So convienant!! My dream space would be the kitchen! The cordless feature got me! My dream space would be a large master bedroom with a reading nook just for me! I love the cordless and handheld features. My dream space is a high ceiling room, with some wall sized windows gazing at a calm nature view, with lots of big printed pictures of beautiful & fun memories I have made with my amazing friends and family hanging on the walls, a room full of love and positive energy that will keep me going. Last but not the least a walk in closet ;), cant dont much without it .. LOL. I love the convenience, portability and power that this machine comes with. I would love to get to the dirty , hard to reach areas where a big vaccum can't reach and the small one that reaches is not of much help. Can't wait to own this stylish clean machine :). My dream space is an open and airy master bedroom with an ensuite bath both free from clutter. The dyson brand is awesome! I especially love the cordless feature, and love the new model looks fantastic & offers many other options. The cordless feature of this Dyson is awesome! I would absolutely love that. My dream space would be the perfect kitchen. I've been picturing it for years – open and bright with a massive walk-in pantry. My dream space is the master bedroom. I love to make it a relaxing retreat for the end of the day! My favorite feature of this vacuum is that it is so much lighter than regular vacuums and I can still use it on hardwood and carpet. It'll make getting dog hair off the stairs so much easier! I love that the Dyson is cordless and able to work on both carpet and hard floors. My dream space is a natural light filled sunroom where I can drink my morning tea and watch the world wake up around me. The cordless feature is my favorite…makes it so easy to pull out and use! My dream space would be a serene bathroom with a large soaking tub! The cordelss feature is definitely my favorite – we live in an older house and they weren't required to have as many outlets when building it so many of our outlets are covered by furniture and hard to get to. My dream space would be a covered patio with a fan and fireplace. I would love to cozy up on the couch year round and enjoy a good book no matter how hot or cold the weather outside. My dream space is my current home! Always evolving with us, and the perfect size for my small family. I would love this Dyson- especially for going up and down the stairs. I love the cordless feature! My dream space is a light and bright kitchen. My dream space is bright and clean! I love the cordless and lightweight feature!!! My dream space would be my own office. Maybe in our next house! And I love that this vacuum is cordless and can be used so many different ways. I love my regular Dyson, but trying to balance it on the stairs while I vacuum them gets old, plus I need an extension cord! I really love your home. I love that it just flows and the colors are all beautiful and light.If you ever move I will be the first to put an offer in! I really love that the vacuum is so light weight. I really don't like lugging around my heavy vacuum just for one room. While I'm living in my DIY renovation, my expectations are low – my dream space is one that's DONE and without construction dust. My favorite feature is how lightweight it is – I hate having to drag out the big vacuum for quick "touch-up" spot-cleaning jobs. Thanks for the chance! My dream space would be a organized craft/homeschool room with cabinets built in for extra efficiency! My favorite feature of the Dyson is that it is cordless! I could quickly run it out to the van for a fast go-over or do my stairwells without toting a heavy vacuum with attached cord! Thanks for a chance to win! I would love this – the cordless feature would be so handy. 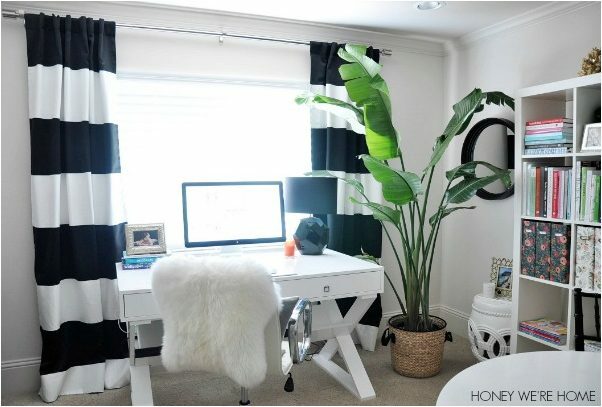 I would love a fully decorated home office suite since I work from home. My dream space is a clean and clutter free living room, with a toddler pulling anything and everything around, it is hard to keep up with the home organization. It might seem obvious but I love that it is cordless! I also love the docking station. Love that this is cordless! Makes cleaning up quick spills so easy! My dream space would be a beautiful light filled sun room that I hope we can add onto our house soon! My dream space would be a bright, open kitchen with a big island and pantry! The cordless vacuum seems amazing. My 1 year old is very talented at making messes in every room of our house, so this would be super convenient in keeping up with her whirlwind. My dream space would definitely be a clutter free and airy design in my master bedroom. I like to relax there and read after a hard day. The feature I love best about the Dyson is that it's cordless and I can vacuum the stairs which is a hassle with a cord. My dream space is the master bath re-do for our home. I have it completely redesigned – in my head! My favorite feature of this Dyson is the ability to go from carpet to tile and back to carpet across our home without moving a cord. I can imagine how fast it would be to clean the floors! It's the small things that make us happy! my dream space would have to be a light and airy beach house, or at least a house that has a light, airy and beach-y feel to it. c; as for the dyson feature, is the ability to get even deeper down into carpets and get more of that tiny microscopic dirt that we all know is there and can't seem to get to. i've got a dog (who sheds more than i care to admit) and with two little ones, i'm constantly sweeping and vacuuming, as opposed to just vacuuming, because our vacuum doesn't work the greatest on the hardwoods. i also have to vacuum the same spot over and over and OVER again due to the suction not being up to par. this dyson would be a dream come true! My dream space would be a covered patio or deck off the back of my house where I could relax and watch the kids play. I love, love, love that this Dyson is light-weight. Most vacuums are so heavy! We have a sitting room off of our master bedroom that i would love to have the time and money to make just on oasis for relaxation and reading!! Hands down best feature about this vacuum is the size and mobility! My dream space is a clean and clutter-free master bedroom! I LOVE the "Hygienic bin emptying" feature of the Dyson! My dream space would be a huge master bedroom with walk-in closet, and a huge master bathroom. My favorite feature about this vacuum is that it's cordless and easy to transport! Dream space is my living room, family room.. THe cordless would the best. Easy to use. My dream space is clean and clutter free. My favorite feature is the cordless and the carpet and the hardwood floors. my dream space would be a bedroom with fresh linens and open windows blowing the curtains. my favorite feature is that it is cordless, yay!! Cordless and lightweight would be a dream on the stairs!! My dreamspace is a large room with hardwood floors, high ceilings and all white and wood furniture with lots of space around. My dream space would be simple, and without visual clutter. My favorite feature about this vacuum would have to be the weight. How wonderful to not have to lug around a heavy vacuum anymore!!! I love that this vaccum is cordless! That's amazing! I would love this for the dream home we built this year. Our dark hardwood floors in our main living areas could really use this!!! I'm definitely a fan of the fact that it's lightweight, but still gets up all of the dirt. My brother has this vacuum and over Easter weekend, he spent about twenty minutes giving me a demo about how great it is. It's definitely on my wish list! My dream space would be a master bedroom with a large walk-in closet. My favorite feature is the portability of it! I would love to win. It would help me vacuum seamlessly from one room to another. My dream living space is open and light, with comfortable pieces for a relaxed vibe. The cordless feature…cause so lazy! And the kids might be convinced to try it out since it looks way cool. My husband and I just purchased a home and my dream space is a glamorous bedroom-turned-closet! My favorite feature of the vacuum is that it could be used to easily clean our carpeted stairs. My dream space is a cozy window seat with a stunning view of the ocean….a girl can dream! I love that this has such power and versatility to go from carpets to hardwood. I need this in my life with 2 kitties that shed like it's their job!!! This would make my twice daily task of sweeping up fur so much easier! My dream space is my own eat in kitchen wit a cozy wood burning fireplace to snuggle up next to. I would enjoy the portability of the DC59 Motorhead for cleaning my wood stairs! My dream space would be my bedroom and I like the hygienic bin emptying feature the most. MY DREAM SPACE: it has to be my Master Bedroom Closet. I'm a bit of a shortie so I have some library steps in there to help me reach up high. There is a vent in there and when I am chilled during a chilly Ohio winter, I go in there and sit on the steps with a cup of tea and I love it! I make phone calls and catch up with family and friends, survey my calendar or go through my phone/I-Pad. It's a peaceful cozy place. In the warmer months I find myself going in there to just write in my Gratitude Journal and reflect. NICEST FEATURE: While I already know the vacuum is a workhorse, I LOVE ITS HAPPY COLOR! No one really likes house work but if I had to pick my favorite feature, It would be the way that it looks. It may sound frivolous, but it's the truth ??? The dream space in my home is my bedroom currently. In our old house, the bedroom looked like it belonged to kids just moving out (cheap furniture with whatever bedding was clean). For some reason in our new house the bedroom has come together faster than any other room. My favourite feature of the Dyson is the mini motorized head, it's so great for cleaning stairs and quickly vacuuming off furniture. We have one at my work and sometimes I borrow it over lunch to clean my furniture and car, I'd love to have one of my own! Also, being 8 months pregnant currently, it would be nice to not have to haul a full size vacuum up 2 flights of stairs! My dream space is the room I just finished for my daughter-an early 10th birthday gift. It is exactly what I would have wanted when I was 10 and she told me what colors, etc she wanted, so it was a collaboration. To see her face and hear how excited she was when I showed it to her was worth everything. I love that the Dyson is cordless-YES! My dream space is our kitchen. It is where my family enjoys cooking together, working on creative projects, family game night, and catching up. I currently own the Dyson Animal, which I absolutely love. The feature on the Dyson DC59 Motorhead that I would enjoy the most, is it being lightweight and cordless.. No more unplugging and plugging while vacuuming the house! My dream space is my kitchen. It is where I can entertain and cook! I love that the days on is light weight and multi functional. Oh and it's cordless!!! Where are your barstools from? Also where is the shade on your kitchen door from? Our barstools are from Target and the shade is from Lowe's or Home Depot. My dream space is a big and inviting kitchen. I like that the DC59 Motorhead captures micro dust! My dream space is our kitchen. It's truly the epicenter of our home, and we spent a lot of time and money into planning and building it 2 years ago!! My favorite thing about the Dyson is that it's POWERFUL! Wow! I love this giveaway! Dyson makes some great products and this one I am sure does not disappoint. I would love the cordless capability for quick and easy clean up! So versatile for any space! Thanks for a fun giveaway Megan! My dream space is our Master Bathroom. Five years after the remodel and I am still happy every time I go into the bathroom! I love the portability and the dock of the Dyson DC59. I have a Dyson and I love it! My dream space is a clean and tidy bedroom. It helps me relax after a long day and ensures that I get a good night's sleep. My favorite feature of the Dyson DC59 Motorhead is that it is lightweight AND powerful! We have three beautiful hairy dogs and keeping the house fur free is quite the chore. I think the Dyson DC59 Motorhead would be great for daily cleanings without the hassle of a large, heavy vacuum that I have to plug and un plug in each room of our house. My dream space would be a screened-in deck – you get to enjoy the outdoors without flies or bugs! My favorite feature is the cordless option – great for stairs and quick pick-ups! My dream space is our bedroom!! And I LOVE the cordless feature! I'm always getting annoyed by the cord of our current vacuum. First of all, my dream space is anywhere my crazy family is! I have 2 boys 4 and 3 and a little girl set to arrive in November. Although it is always loud and crazy, watching them grow in our home is a dream. My dream space is a cozy, inviting and fabulously decorated guest bedroom. I love when I have guests stay with me, and I want them to feel as comfortable as possible while they are away from home. The Dyson feature that I enjoy most is the ability to move seamlessly from wood floor to carpet. I have all wood floors and tile in my home but I love having area rugs also. The Dyson makes it easy to use one machine to clean all floor surfaces! Wow! This vaccum looks amazing! I love the lightweight feature – easy to bring up and downstairs! my dream space is a big white bathroom. all white and clean and sparkly! love that this is cordless and emptying is a breeze. I feel 100% the same about my home…it is my sanctuary!! I love that it can get all the way under couches, and that it can become cordless! I would live an open floor plan between the kitchen and living room. I live that this is cordless and lightweight. My dream space is my open kitchen and living room area. I love entertaining guests, and because we have one big room for both, I can finish preparing food while still being involved in conversations. I LOVE our home. A three-story condo with hardwood floors for our common space and our plush carpet for the rooms. Keeping both types of flooring clean means I have to use two different vacuums. The Dyson DC59 would allow me to have one great vacuum that does double-duty. SO much easier! Our home is pet friendly which means I have to vacuum daily. Both pups shed like crazy so this vacuum would be perfect for us because it's cordless and lighter than our existing Dyson. Love the cordless feature…my dream space would be a master bathroom! My dream space would be an open floor plan main floor with a white backdrop! I'm obsessed with this cordless dyson and the handheld option! I would love to have this to tackle our hard to vacuum stairs! I would love a redone master bedroom with cushy carpet and pretty decor! I love that this vacuum is cordless and lightweight! My dream space would be a dedicated reading room with floor to ceiling bookshelves and comfy chairs. I love the slim design and cordless aspect of the Dyson. Erin – My dream space is a well decorated master bedroom. The feature I love the most about the dyson is that it is lightweight yet very powerful. I need something that I can clean the stairs with easily and not break my back in the process!! I love this Dyson. The look is so nice. It makes me want to vacuum. I love the fact that the Dyson picks up microscopic dust. The fact that it can be used on different floor types is also a huge plus. I love how light the dyson is! My dream space would probably be a man cave with lots of big leather couches and a large screen tv. I'd like the dyson because it is cordless and lightweight. My wife loves her regular dyson but it is too heavy to lug up the stairs and she cant use it to clean the stairs. This would be great. My dream space would be a spa like bathroom. I love that the DC59 can clean a room from top to bottom. I'm not a huge fan of cleaning, so any vacuum that helps me clean as quickly as possible is a winner in my book! My dream space is my sewing-craft room. It's a good thing it is only a few steps from my kitchen or we might all starve around here! I have an older model Dyson Animal (cordless) and would love to upgrade but it does an amazing job. I have LOTS of tile in my home, and I can blitz through the crumbs & cat fuzzies so quickly. I really like that it's detachable at the head for vacuuming upholstery, etc; and I like that it's profile is small enough to get under everything! I love everything about this vacuum but if I had to choose a favorite it would be the cordless feature. Vacuuming the stairs, hardwoods and car would all go so much faster! My dream space is my kitchen… More counter space with 2 sinks…. This Dyson will help clean efforless all those ceiling moldings i have… My current vaccum breaks my neck with its weight! My dream space would be a reconfigured kitchen – ours is a little difficult to navigate at times! And on the Dyson, I love the docking station. Cool way to keep everything together and in one place! As a mom of 3 young men, a dog and cat my dream space is crumb and dirt free floors! This Dyson is awesome, especially the fact it detaches for my carpeted stairs! What a great giveaway! We moved into a great new (for us) home last year, and it has more wonderfulness than I ever could've dreamed up myself. My dreamiest space is the huge laundry room that has a full bank of cabinets (just because, I guess, since this is NOT the pantry…that's a whole separate room with 3 sets of 9' units!) and 11 walls, 3 of which create a large nook that has become a dedicated craft area. It's also a long, sprawling house that BEGS for multiple vacuum cleaners to help keep the hardwoods and area rugs clean. The ones we have are not up to the task. THIS one looks perfect for us! My dream space is currently our master bedroom thanks to our new furniture. I love that the Dyson motorhead is cordless and lightweight because we have two dogs and a toddler and our 2 story house needs vacuuming daily. My dream space would be a large open eat in kitchen – We have a small kitchen and I feel like I'm always in there cooking while my husband and kids are in the other room playing! I would the cordless feature of the Dyson and using it on our hardwood floors – with small kids there are always crumbs! My dream space is my office/craft/sewing room. My favorite feature is – "it does it all" so easily! How cool is that! It appears to be so lite weight, goes easily under furniture and beds. Goes from carpet to no carpet areas with ease. To the car/auto. And stairs! I have an old farm house that has 2 set of stairs. I believe I have found my new sweeper!! Awesome! My dream space is our front room – it will one day be a fabulous library space (possibly office?) that i can retreat to when I want to curl up and read! I have two favorite features of this Dyson – the bagless container and that it can become a smaller handheld vacuum! My dream space is a master bedroom with a walk-in closet. I love that this vacuum is cordless and light enough to allow my kids to use it. My dream space is our master suite. It is open, airy and so relaxing. I would love the DC59 as it would make the daily vacuuming of the pet hair a breeze! I've always wanted a finished basement with a a movie area, game room and small bar. Thats my dream space. I like that the Dyson vacuum has a two year warranty, a docking station a that it picks up microscopic dust. I just started reading about the Dyson DC59 and it looks amazing! My favorite feature? It is CORDLESS! My dream space is an office like yours. I work full time in my home office…which is currently in an unfinished basement. My dream office will have a wall of bookshelves, a beautiful desk, big windows with gorgeous drapes, and a craft/sewing corner. I've looked at these vacuums for so long. I would use it on the carpeted stairs of my townhouse and in my car. Wireless vacuums for the win! My dream space is an bright happy kitchen with a big island. I love to cook and bake for those I love. I am in the middle of a kitchen reno right now and can't wait till I can break in the new kitchen. My husband usually vacuums because of my excuse that the regular vacuum is too heavy. The Dyson DC59 is light and cordless and it would get me to vacuum myself more often – I promise! My dream space would be an office / craft room. I have four boys not including my husband, so I am outnumbered. I would love a space for myself. One feature I love is that its really light weight so I could have my oldest son vacuum and he can earn some extra cash for doing some chores. Anything that would help this momma out would be wonderful. My dream space is a renovated barn with an open concept plan plus a few cozy hidden nooks. But a cordless vacuum would make any space a dream! I love the stair cleaning attachment. My dream space is an airy yet cozy screened in porch. I'd love this Dyson for its cordless-ness and the fact it can clean both carpets and hardwoods. My dream space is the home we built 14 years ago. I love that the new Dyson is cordless and so light because we have hardwood stairs to the second floor. My dream space is someplace where I can go and have my own time – a reading nook with big windows would be fabulous. I love the dyson I have now (5 years old), but I get exhausted dragging it upstairs and downstairs all of the time. The cordless would be fabulous because I could easily move from room to room and could do the stairs easily – right now my husband has to do that part for me. My dream space would be a massive master bedroom with walk in closet. I absolutely love my Dyson Animal but this new cordless option would make cleaning so much quicker!! My dream space is one that is clean 🙂 also one that we own…been renting for about 3 years now. I would love the new Dyson, the fact that it is cordless and has many attachments is great!!! My dream space would be a organized play room/reading room for my kids. They have so many toys and I would love it to be organized and with the help of the DC59 Motorhead keep it clean from small crumbs, paper, hair etc. The ease of the vacuum going from the tile, carpet would be great and being able to lift it to the ceiling for cobwebs in a flash! My dream space would be a home with lots of windows to look out into the Austin hills. I would LOVE to win the Dyson as my old vacuum I've had for several years and is in desperate need to be replaced. I love the many features of the Dyson- and how easy it is to use.. I love to vacuum so making it easier makes it more fun! I would love this! The cordless feature is a huge bonus! My dream space would be a big, open, bright, and light kitchen!! My dream space is a comfy but clean living room that we can enjoy all day long, every day. I love that the Motorhead is wireless and can clean wood floors! My dream space is my garden. The feature I like is that it is CORDLESS! My dream space is the kitchen. I have been eyeing this guy for awhile! It would be a dream come true to win it. We have two dogs that shed and more poor wood floors always have a soft coating! I love the cordless feature! Don't have to stop unplug and replug all through out the house! My dream space would be an office with a gift wrapping station. I would love to win this Dyson since it is cordless – sounds amazing! My dream space is a beautiful organized closet, like yours! I love that this dyson is cordless and light-weight…it would be so easy to carry up and down the stairs (and to clean the stairs!). I also love that it collects microscopic dust and dirt. I think this would help my kids' allergies a lot! Our home is carpeted and also has hardwoods, so it is awesome that you can use it on both! I would LOVE LOVE LOVE to win this vacuum!! My dream space is clutter free and dog hair free ….2 labs in my household! I think cordless feature and it being so lightweight to use at a moments notice is the features I like the most. My dream space is my kitchen – high ceilings, TONS of counterspace, and loads of room for the whole family to prepare and eat meals. This is going to sound funny but my favorite feature of this Dyson is the color – PINK!! I have the full size Dyson vacuum and love it to pieces. My dream space is my bedroom, that's where I'm the most comfortable. Love the way it pick up the animal hair. Dyson is a great product. My dream space would be a beautiful and functional mudroom! Living in Minnesota there is always mud and snow to track in. The feature I love the most is it being cordless. Living in a two level townhouse = lots of stairs! My dream space is an organized family with comfy space for everyone. I LOVE the look of this vac-but the cordless feature and that it works on floors and rugs is awesome!!! Love the cordless feature! My dream space is just my own home, sparkling clean!! dream space – family room. outdated needs to be refreshed! dyson feature- cordless and lightweight. My dream space would be a large master bath with a soaker tub, and I love the lightweight and cordless feature. My animal dyson is so heavy to carry upstairs! My dream space is a master closet with an island and built in organization. It's hard to only pick one feature of the Dyson that is my favorite, there are so many awesome components! But the amazing suction power in a cordless vaccuum eeks out as my top love. my favorite space is an upstairs bedroom we've converted into a reading room–it's bright and cheerful while also serene. I love that the Dyson is lightweight and can easily fit under furniture. So slick! Oh, my dream space would be a three-season room or sunroom. I envision spending a lot of time there with my family, especially the rambunctious little toddler. This dream room has comfy seating and some exercise equipment so that I can work out while still keeping an eye on the little one getting into lot of mischief in the back yard. Then, after, we can both relax there and do interesting projects. This airy, open sunroom will need a lot of vacuuming to keep it clean. I love the one handed operation of this Dyson. I can clean this sunroom while holding my child (who of course wants to be held as soon as mommy starts working). I love everything about this Dyson. My dream space is my living room. And I never heard of this vacuum until I saw your post! What I love MOST about it is NO cords! And with a 140lb German Shepherd, that is ALOT of dog hair I am vacuuming and this would make it sooo much easier! My dream space would be a simple, bright inviting sitting room with a reading area. Dyson's feature or being cordless and light-weight would make things so much easier of cleaning from upstairs to downstairs. My current dream space is to finish our lower level with workout room, complete with treadmill, elliptical bike, weight bench, flat screen tv with lots of floor space for pilates/yoga. Also a home office designed around my new favorite colors of pink and orange. I am recovering from a knee injury so the DC59 would be so helpful to use in my home of many stairs. Thanks for the awesome giveaway!!! You look fabulous btw! I tried finding my comment, but it must not have worked. If I missed it- I promise I'm not trying to get double entries! I live in a house with a bunch of roommates. I think having this would actually make us want to vacuum and clean up a little more often- ha! No cords are a definite plus. My dream space would be a sweet little A-frame cabin on the lake in MN where I grew up. Being that I live in TX now, the living room of the home where I live is close enough with a fireplace and loft! I love the super suction feature – with 6 month old twins and an almost 3 year old it is necessary! My dream space would be a living room without bright plastic baby toys – oh to dream! Thanks for the giveaway. I would love this for vacuuming stairs and furniture. Cordless is a big plus for those tasks. My dream space would be a cozy reading nook in the master bedroom. I don't have a dream room yet but we are house shopping so hopefully that will change soon. It's very calming. My favorite features are that it's cordless and that it can be used as a hand held vacuum. My kids skates run around me when I pull out the vacuum. They think it's a game lol but of course I sorry they will trip over the cord. My dream space…a large eat-in kitchen opened to a family room with lots of comfy seating to host many a memorable family nights! I imagine that the Dyson DC59 will make vacuuming our staircase a breeze. Thanks for a great giveaway! Love, love, love that it's cordless!!! we recently moved to a larger home, and lugging our vacuum all around the house is a giant pain in the neck! Would love this vacuum! I love the cordless feature, no more tripping over the cord & having to find an outlet to plug it in. I also love that you can vacuum the car within minutes. My dream space is a one story open floor plan. Did you announce the winner? Yes, the winner is Carla Jordan.